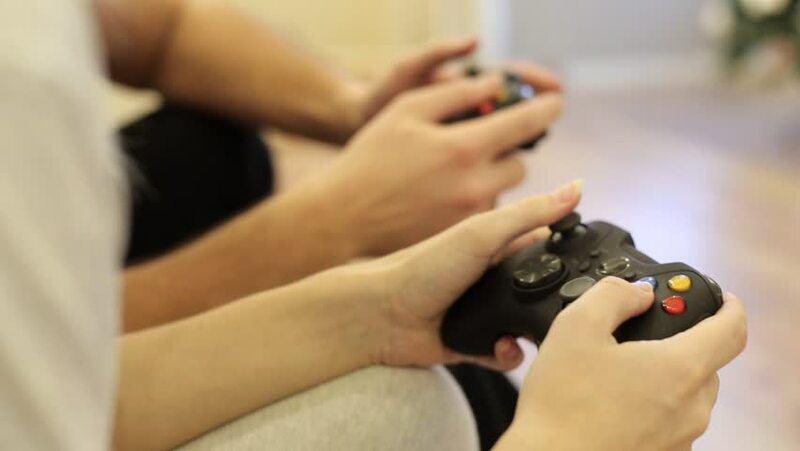 man and woman with a controller in hands playing video game console. hd00:25A girl slams down a controller in slow motion. hd00:11Kiev, March 16, 2018, Ukraine. Man playing video game with a joystick. Men rest, playing a computer game at home. 4k00:10The little girl draws with her brother at the table in the house.